Auckland Intl. - Suvarnabhumi Intl. Sun., 2 Jun. - Sun., 9 Jun. 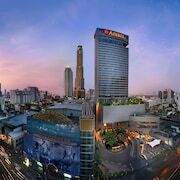 Bangkok’s Thai name is Krung Thep, which means “City of Angels”—but this famous capital is sure to be both angel and devil. 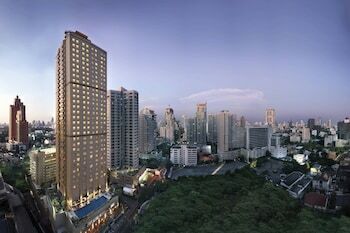 If you’re looking for a getaway that you can truly make your own, Bangkok holiday packages are here for you. New York is a liar (they totally do sleep), but Bangkok will really keep you up all night. “Wat” are your plans? Bangkok holidays better include checking out some temples! Wat Pho has the largest reclining Buddha in all the land: 46m of gold-plated, chillin’ Buddha goodness, topped off with diamond-studded feet at one end and a mystical come-hither stare at the other. Plus, you can get a massage here! It’s home to Thailand’s top massage school. You’ll be feeling more relaxed than a backpacker in a field of poppies. Had a rough night last night and can’t walk another step? Take a boat tour along the Chao Phraya River to see the city from a whole different angle. You’ll stop at floating markets, explore the khlongs (that just means “canals”) of Thonburi and get unique views of the Grand Palace and the Temple of Dawn—get ready for selfies! Or hop in one of lastminute.co.nz’s Bangkok car hire deals and feel the cool breeze against your hot, hungover face. 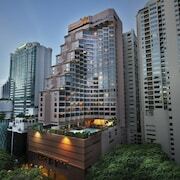 Put on your best walking shoes for CentralWorld, the largest mall in Thailand and sixth-largest on the planet. It’s got more than 500 stores, 100 restaurants and even an ice skating rink. Prefer your shopping with tattoos and fedoras? Barter your way to the best Bangkok holiday deals at Talad Rot Fai, the city’s hipster market. Buy some upcycled Johnny Cash records and pick up a pint from a VW Bus, then use that liquid courage and brave one of the barber shops for a hair-raising souvenir (just kidding, don’t do that!). If you came to Bangkok to get weird (and admit it, you want to get at least a little weird), the cuisine is a good place to start. That doesn’t just mean strange food, either, although there’s certainly plenty of stink beans and crickets on sticks. You can also be served by dancing robots or fish for your own food! Every meal can be a story, if only you let it—and that definitely goes for the nightlife, too. Khao San Road is the official starting line for most Bangkok holiday shenanigans. Travellers seeking everything from enlightenment to beer bucket deals flock here day and night, and pretty much anything goes. So grab your neon wig, pink spandies and sky-high platforms—Bangkok doesn’t judge. 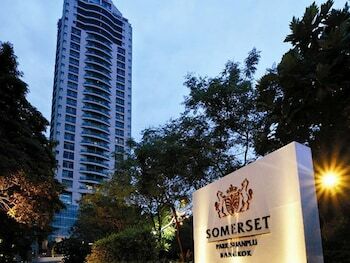 However, if you maybe want just a tiny bit of judgment, head to Sukhumvit Road. 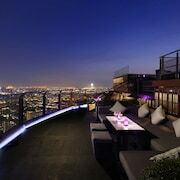 Its rooftop bars and clubs are the place for your best bling to see and be seen. Whatever your party style, you can bet your baht you’ll get a great price on Bangkok packages when you book on lastminute.co.nz. Thailand holidays are sure to show you the true meaning of “The Land of Smiles”—how you get yours is up to you. The perfect street for travellers on a budget who want to buy cheap clothes, cheap souvenirs and then party into the early hours. 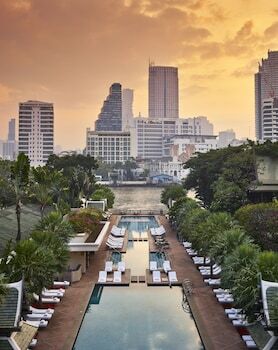 This opulent setting was once the home of the King of Siam. Today, it is a place of worship for locals, and a striking part of Bangkok’s architectural heritage. Commonly known within Bangkok as the Temple of the Reclining Buddha, this is a spectacular place of worship and is notable for its many Buddha statues. 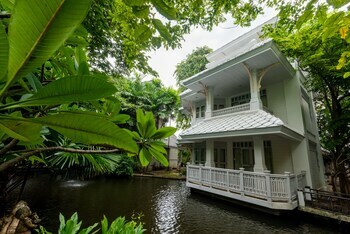 Visit the house and art collection of an American expat who became one of Thailand’s most renowned “farangs” before his mysterious disappearance in the 1960s. A small but extremely important Thai religious icon sits on a golden pedestal within the ornate Wat Phra Kaew structure on the grounds of the Grand Palace. This green breathing space provides a quiet haven for rest, sport and recreation away from the madding crowds, for residents and visitors alike. This shrine is a statue of a Hindu deity, which sits proudly in one of the busiest parts of this vibrant city, receiving literally millions of visits every year. Tour this teak royal house, which was influenced by the style of the palaces of Europe and is surrounded by museums, gardens and canals. Head to this ancient temple and discover the Golden Mount, a structure offering panoramic views as a reward for the long climb to the top. 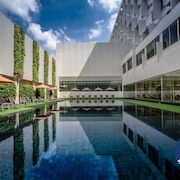 Take a fascinating journey through Thailand’s history at the home of the nation’s biggest art and crafts collection. Bargain for clothing, jewelry, leather goods and souvenirs at this animated market set amid one of Bangkok’s most notorious nightlife districts. 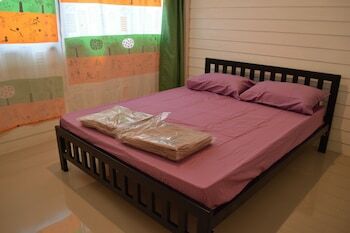 Good location, room a bit musty on arrival so maybe airing out prior to arrival would be a good option? Breakfast was great and the staff were very lovely and friendly. 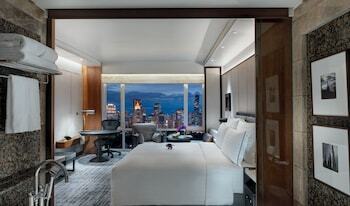 Quick stay one night. Nice comfy bed Could do with better water pressure for the shower. Hotel was excellent and staff were extremely friendly! Awesome hotel. Close to airport. 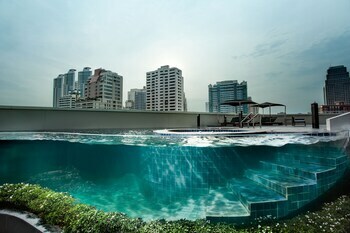 Awesome hotel. 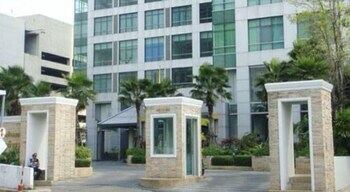 Close to airport, great for people in transit. *Savings based on all package bookings made with Flight + Hotel on Lastminute.co.nz from January 1, 2018 to December 31, 2018, as compared to the price of the same components booked separately. Savings will vary based on origin/destination, length of trip, stay dates and selected travel supplier(s). Savings not available on all packages.